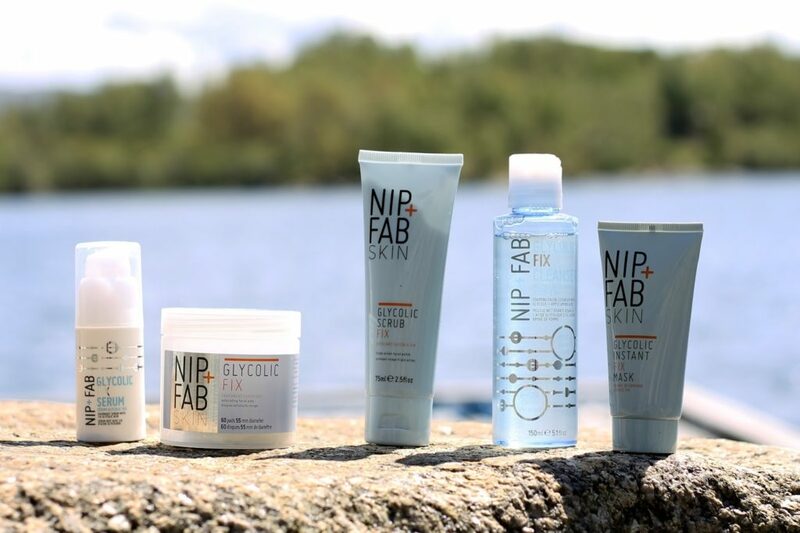 Nib+Fab is one of Kylie Jenner’s favourite brands, which also explains why she became the brand ambassador for Nip+Fab. So I was very lucky to be able to review these products. They also share a similar scent, which I believe is “bittersweet”; I think I’d describe it as grapefruit-like because it’s got a fresh citrusy note mixed with bitter herbs or something on that line. As for the texture and result, let’s find out more about them from product to product. The ones I got to test out are: Glycolic Fix Cleanser, Glycolic Fix Pads, Glycolic Scrub Fix, Glycolic Instant Fix Mask and Glycolic Fix Serum. 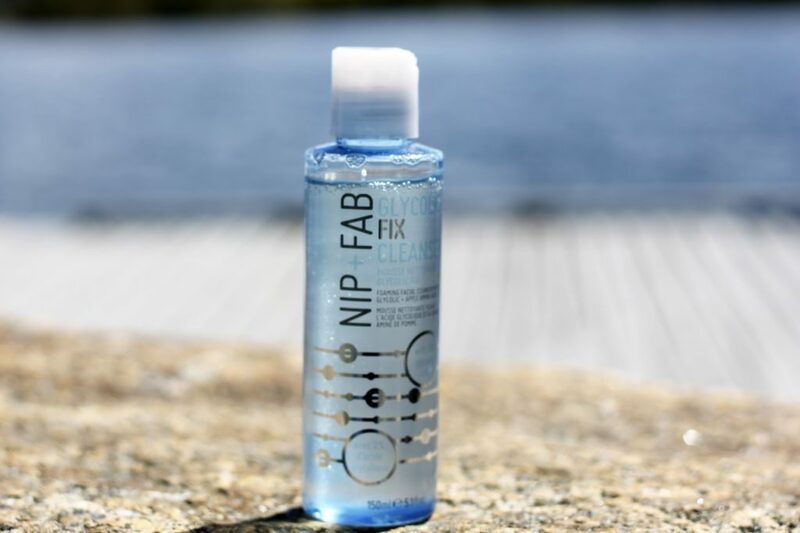 This Nip+Fab Scrub does what you would expect it to do! I tend to use it after the cleanser once or twice a week, depending on how my skin feels like. It’s basically an extra addition to the cleanser. It scrubs away dead skin and makes my skin feels extra radiant! The grains are medium sized, so you should not use it too as you don’t want to over-scrub. 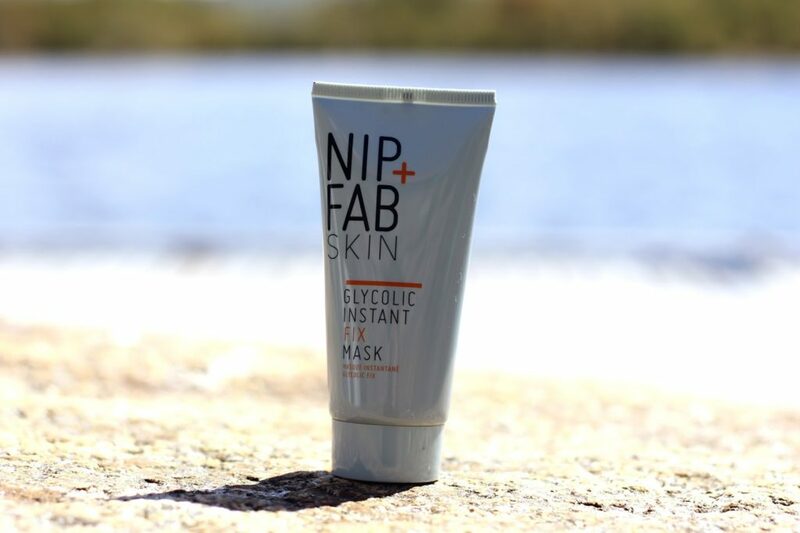 This Glycolic Fix Mask reminds me a of the ever so popular Ren Glycolactic Radiance Renewal Mask (review), except that this one is almost 3 times cheaper and works just as well. This mask has a really smooth texture and it’s glossy when applied. As expected of a glycolic acid mask, it does sting a little when applied, but it’s really not that bad compared to some other masks I’ve tried. After using this, I can see a noticeable difference on my spots and my pores – they definitely look smaller. This can be a controversial product because a lot of people dislike face wipes. 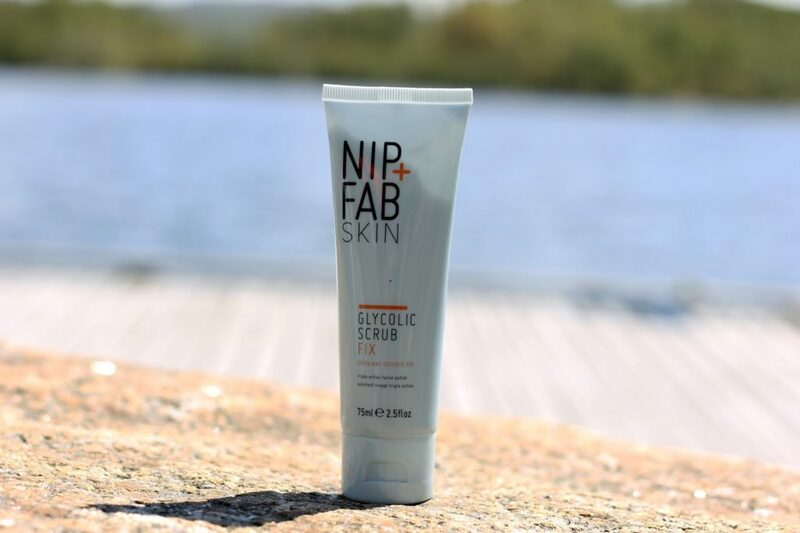 However, these Glycolic Pads are very different because you don’t need to use them as wipes, you can simply pat it on because there’s a lot of moist in each of the pads. 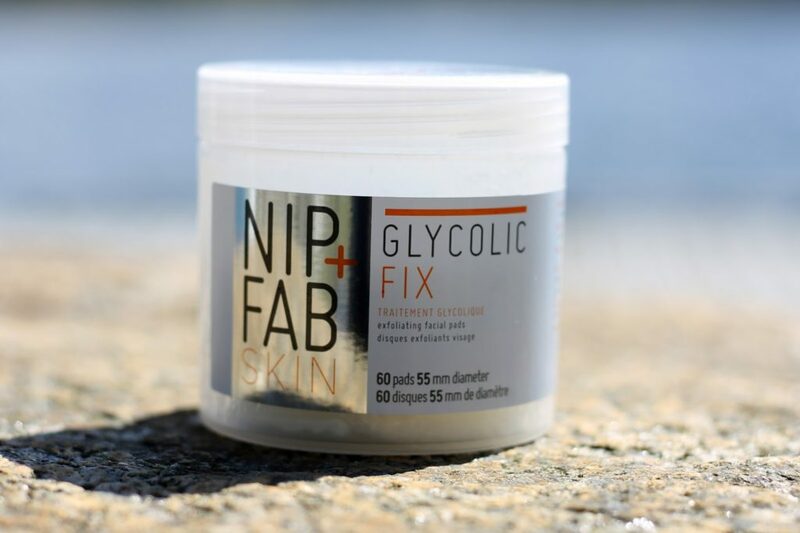 The Glycolic Fix Pads can be a little stingy upon application if you have a lot of spots or a bad skin day, but it does make a difference. However, I only use this every other day in the evening because too much of the good stuff can make my skin a little too sensitive. 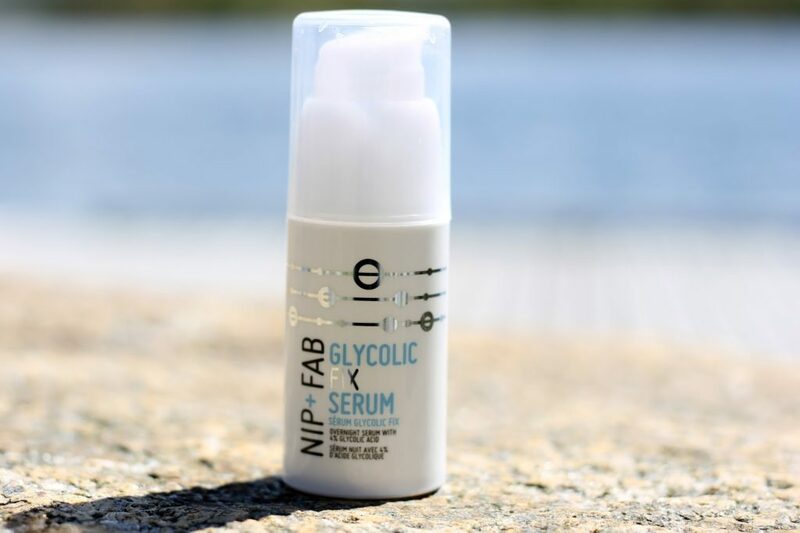 This Nip+Fab Glycolic Fix Serum is possibly my favourite product from the range. It’s got a sticky texture, but it’s easy to apply and it absorbs easily. It feels amazing on and I can feel a difference right away when applied. It makes the texture of my skin feel ridiculous smooth right away and the feeling lasts until next morning. It’s an over-night serum so I use it every evening.